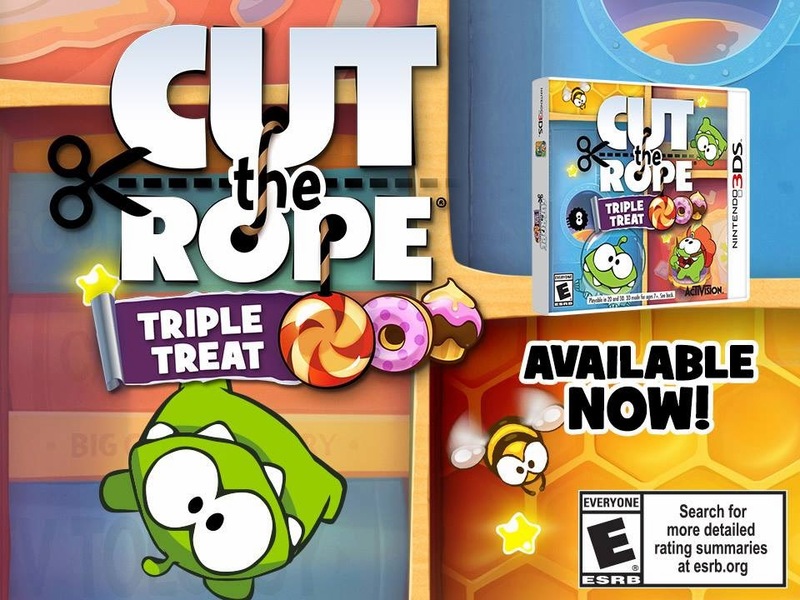 "Cut The Rope" and "Pudding Monsters": NEW "Asian Dynasty" Update for "Cut The Rope: Time Travel" ver. 1.3 !!! NEW "Asian Dynasty" Update for "Cut The Rope: Time Travel" ver. 1.3 !!! 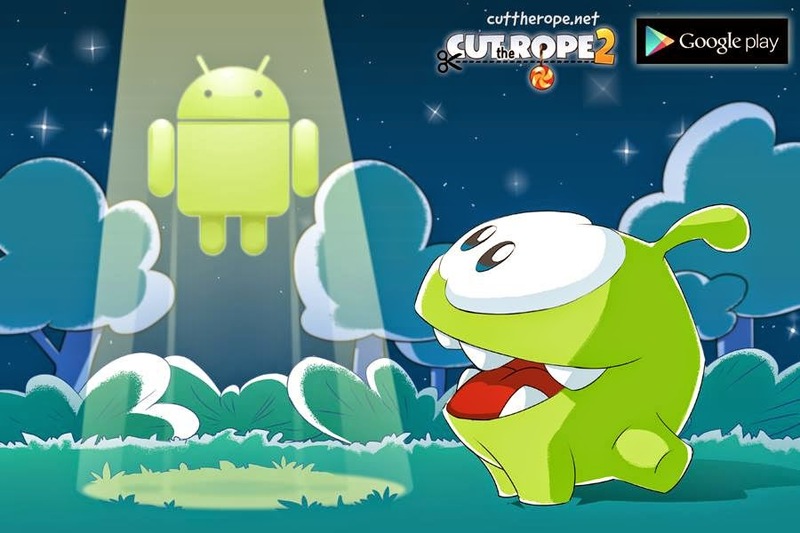 "Cut The Rope: Time Travel" ver. 1.3 comes with a NEW 9th box "Asian Dynasty", while the previous 9th box "The Future" has become the 10th box. Read the in-game comments above. 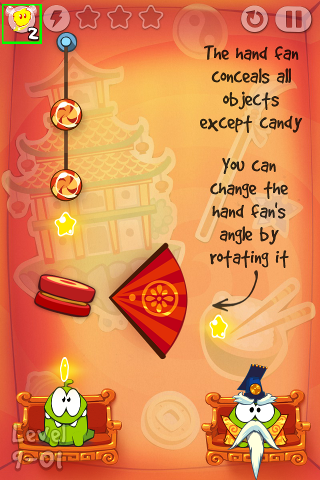 The NEW game element is a hand fan which you can rotate to hide game elements and even Om Nom, except the candy. And now you can use NEW in-game hints (the icon is enclosed in green square at top left corner of above screenshot) to earn all 3 stars ! 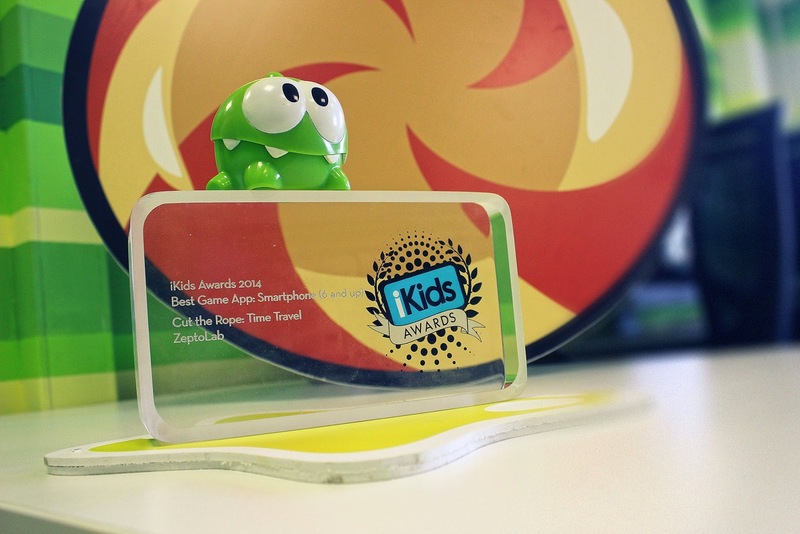 (3) "Cut The Rope: Time Travel" just won an iKids award for Best Game App: Smartphone (6 and up) !